Radical, futuristic, cosmic, optimistic, at times even naïve, crazy or just plain curious: those are just some of the attributes that can be found in literature when it comes to post-war Soviet architecture. Adding to this notion is certainly a hint of exoticism and a degree of romanticism which conveys the idea of a lost utopia. But the style generally presented in the West as Soviet Modernism becomes increasingly heterogeneous the closer one actually examines it. The description belies the fact that the former Soviet republics brought forward a multi-faceted range of architectural trends and movements, styles and theories, just as there were competing schools. Ukraine was no exception. 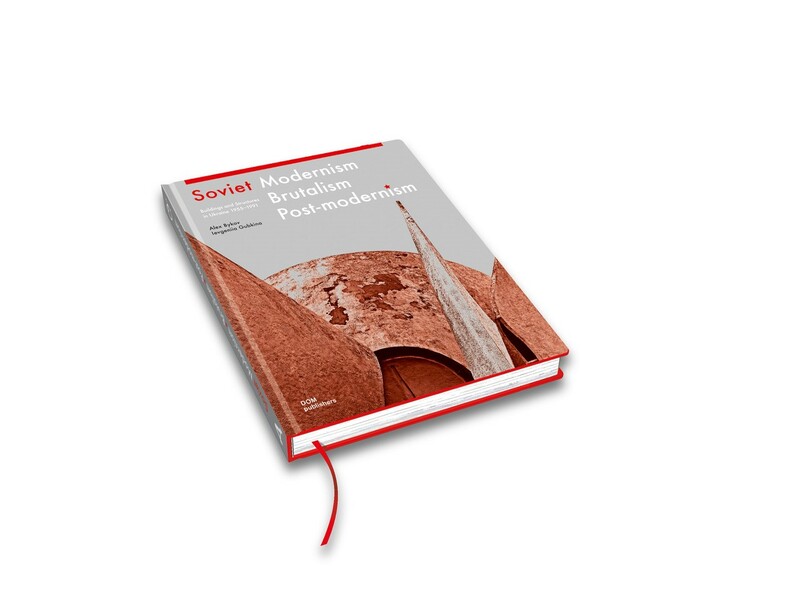 The publication Soviet Modernism Brutalism Post-modernism is a comprehensive study of brutalist architecture from Soviet-era Ukraine. For several years the architects Alex Bykov and Ievgeniia Gubkina set their sights on the modern architecture that can be found within their home country. 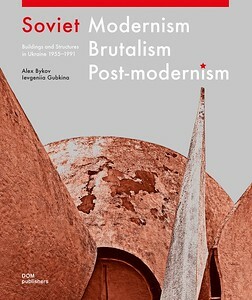 In this title they examine the unique expressions of post-war Soviet architecture from 1955 to 1991 in all its shapes: from interior design to urban planning and throughout all parts of Ukraine. 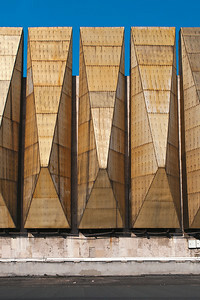 Furthermore, this title wants to play its part in that late-Soviet architecture must be seen in a more differentiated way. 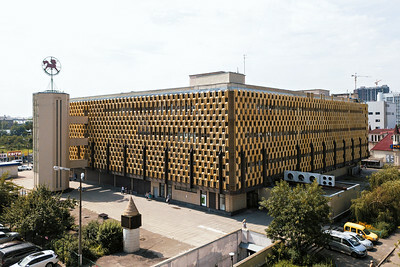 For the first time terms like Brutalism and Postmodernism, which so far have only been recognised in the context of western architecture, are used in connection with architecture from the East. The authors describe and analyse the parallels, but also the divergences between Soviet architecture and the movements from the western world. Their research is verified with an abundance of visual material: more than 200 large-format illustrations exemplify the developments. 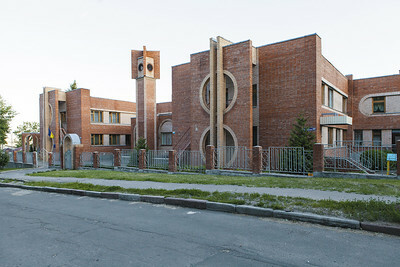 These modernist Soviet-era buildings, most of which are threatened with destruction, are thus given a worthy documentation. The title can be seen as a sequel to the monograph Decommunized: Ukrainian Soviet Mosaics, that was published in 2017 and which presented the first comprehensive photographic study of the now mostly destroyed Soviet-Ukrainian mosaics. Ievgeniia Gubkina is also the author of the DOM publishers Architectural Guide Slavutych (2015) and Kharkiv (in production).